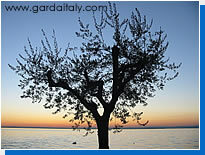 Lake Garda is one of northern Italy's most popular tourist destinations. Tyroleans and Bavarians regard it as a home away from home only a few hours' drive to the south, while the advent of cheaper flights to the many nearby airports has increased the attraction for those hailing from the north of Europe. 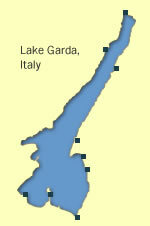 This website - Lake Garda Italy - is the "mother ship" for a look at some of the popular resorts around the lake. If you want to discover more about other towns around the lake, they are listed under the Lake Garda Resorts link in the site navigation.